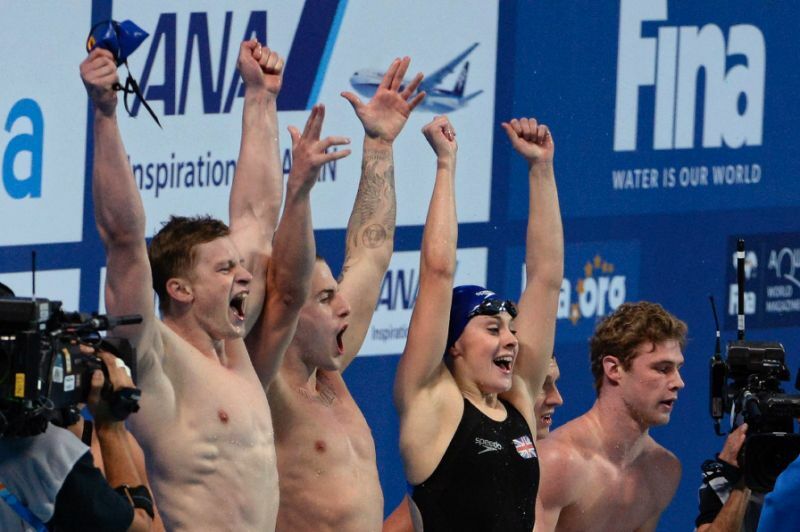 European Championships: Great Britain Wins Mixed 4x100m Medley. The British relay took the mixed 4x100m medley event on Monday at the European Championships in Glasgow. Georgia Davies, Adam Peaty, James Guy and Freya Anderson won the mixed 4x100m medley at the Glasgow European Championships. With a time of 3’40”18 – a new continental record – they beat Russia (3’42”71) and Italy (3’44”85).